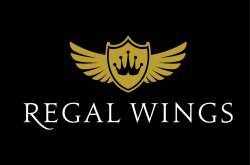 Regal Wings, an Inc. 500 company, offers both large conglomerate and independent travel agents the highest commission and the best deals on international business or first class tickets and Private Air Charters. With our access to wholesale, contract and consolidated fares, we have the ability to provide unsurpassed value to your clients as well as the highest commissions to travel agents. Most importantly, Regal Wings provides legendary customer service and support, ensuring that each of our travel agents is treated royally. Passionate about service, passionate about flying, passionate about satisfying the needs of each and every one of our clients. That's Regal Wings!